Before the Europeans arrived, indigenous people governed themselves. It's that simple. It doesn't matter what the governments were called: a tribe, band or pueblo. The fact is that a self-governing community was here first with a unique political framework. Some tribes were governed by a council; some by a religious authority; while others split the duties of peace and war chiefs. The point here is there was a system at work in every community. Mark N. Trahant, "A Tribe with a View," in "The American Indian and the Media"
Indians in this country enjoyed self-government long before European immigrants who came to these shores did. It took the white colonists north of the Rio Grande about 170 years to rid themselves of the traditional pattern of the divine right of king...and to substitute the less efficient but more satisfying Indian pattern of self-government. Felix Cohen, "The Legal Conscience"
The United States makes treaties only with other governments, and for over 200 years has recognized the governments of Indian nations and tribes. In relating to tribal governments, the federal government acts under authority of provisions of the Constitution. In Article I, Section 8, the Constitution states: "The Congress shall have power...to regulate commerce with foreign nations, among the several states, and with Indian tribes." 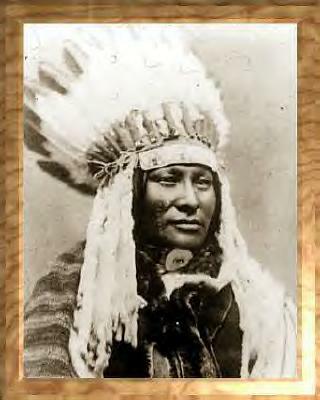 The relationship between the Indian nations and the United States government is unique in a number of respects. First, the Indians are the only group specifically identified in the Constitution. Persons unfamiliar with Indian law mistake this distinction as one of a racial nature. Such is not the case. Indian tribes are distinct political entities—governments with executive, legislative, and judicial powers. Members of the tribes may be citizens of both their Indian nation and the U.S.
United Effort Trust, "Tribal Government"
The three cases which are known as the Marshall Trilogy are Johnson v. McIntosh (1823); Cherokee Nation v. Georgia (1831); and Worcester v. Georgia (1832). In Johnson v. McIntosh (1823) the Supreme Court concluded that tribal sovereignty, although impaired by European colonization, cannot be dismissed. Supreme Court Chief Justice Marshall stated, "In the establishment of these relations [between Europeans and Indians], the rights of the original inhabitants, were in no instance, entirely disregarded. They were admitted to be the rightful occupants of the soil, with the legal as well as just claim to retain possession of it, and to use it according to their own discretion" (Getches, Wilkinson, and Williams, Jr. 1993, 144). Cherokee Nation v. Georgia (1831) ruled that Indian tribes were "a distinct political society, separated from others, capable of managing [their] own affairs and governing [themselves]" (Getches et al. 1979, 162). In the 1823 ruling Johnson v. McIntosh, Marshall said, "The magnificent purchase of Louisiana was the purchase from France of a country almost entirely occupied by numerous tribes of Indians, who are in fact independent." The Great Sioux Nation and the other Plains Indian nations were living a free and independent life in the colony known as Louisiana. Joseph Story was an Associate Justice of the U.S. Supreme Court when the Worcester and Johnson rulings were handed down. In his book "Commentaries of the Constitution of the United States," published in 1833, Story said that "the Indian tribes, inhabiting this continent at the time of its discovery, maintained a claim to the exclusive possession and occupancy of the territory within their respective limits, as sovereigns and absolute proprietors of the soil." What's more, Story observed that the Indians "acknowledged no obedience, or allegiance, or subordination to any foreign sovereign whatsoever; and as far as they have possessed the means, they have ever since asserted this plenary right of dominion, and yielded it up only when lost by the superior force of conquest, or transferred by a voluntary cession." In other words, the Indian nations were free and independent when they made treaties with the United States. According to the Reserved Rights Doctrine, Indian nations retain all political powers and rights they have not specifically relinquished by treaty or other political agreement. The terms "free" and "independent" describe the political identity of all the Indian peoples of the hemisphere prior to European arrival. Today, however, the United States would have us believe that there are no free and independent Indian nations existing within the geographical boundaries claimed by the United States, despite the existence of hundreds of treaties between the United State and free Indian nations from 1776 to 1871. Indeed, the entire field known as "federal Indian law" or "U.S. Indian law" is premised upon the notion that Indian "tribes" are "domestic dependent nations." This presumption arises in large part because in 1831, in the case Cherokee Nation v. Georgia, the U.S. Supreme Court said that Indian nations "may … perhaps, be denominated domestic dependent nations." The field known as federal Indian law would have us believe that the free and independent political heritage of Indian nations simply vanished into thin air, so to speak, because the U.S. Supreme Court wrote three magic words on paper in 1831: "domestic dependent nations." Through acts of Congress and court rulings, the US government has controlled, limited, and sometimes terminated tribal sovereignty. Nowadays tribes, like states, are quasi-sovereign. They exercise only as much sovereignty as the federal government will allow them. Federal Indian law is the continuation of colonialism. On the basis of a non-sovereign "tribal sovereignty," the United States has built an entire apparatus for dispossessing indigenous peoples of their lands, their social organizations, and their original powers of self-determination. The concept of "American Indian sovereignty" is useful to the United States because it denies indigenous power in the name of indigenous sovereignty. Unfortunately, Congress and the courts can unacknowledge the tribal sovereignty they've acknowledged in the past. But until they do, tribes retain much of their historic sovereignty. 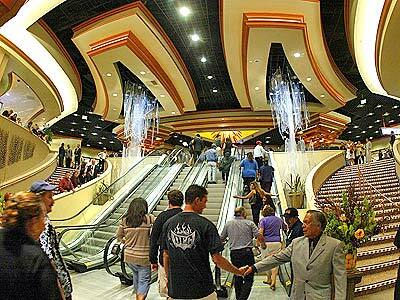 Amid all the talk of casinos, people keep referring to tribes as "sovereign nations." But what exactly this means is the subject of constant debate. While stumping for her tribe's controversial Casino San Pablo development last week, Lytton Band of Pomo Indians chairwoman Margie Mejia described sovereign nations this way: "We're little countries living within a big country." That's somewhat accurate, but doesn't tell the whole story. At its simplest, "sovereign" means independent and self-ruled. A completely sovereign nation is an equal to all other sovereign nations in all respects, from foreign policy powers to economic self-sufficiency to citizenship. Tribes have some limits, though. They can't maintain relations with foreign governments or sell their land to anyone outside the United States. On the other hand, they and their members can do some things foreign sovereign governments and their constituents can't, such as making political contributions and voting in U.S. elections. Tribes do have executive, legislative and judicial governmental power over all their internal affairs, including the power to make and enforce laws for their benefit and protection. This power is considered inherent, meaning it wasn't granted to them by anyone. So they govern themselves to protect their members' health, safety and welfare, and to preserve their culture and history. States are forbidden from interfering with that -- state laws simply don't apply to Indian land. 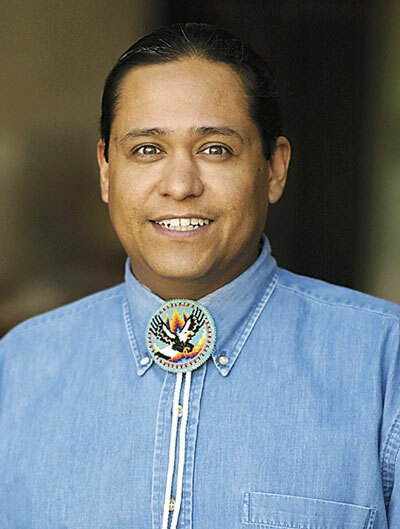 Tribes maintain unique nation-to-nation relationships with the U.S. government. Congress and the federal courts have some power to limit tribal jurisdiction, but case law has established that tribes reserve any rights they haven't expressly given away. A group of Indians can petition the Bureau of Indian Affairs to be recognized as a tribe -- and so enjoy sovereign status -- by providing historical, cultural, genealogical and other evidence to prove they've comprised a distinct community from historical times through the present. 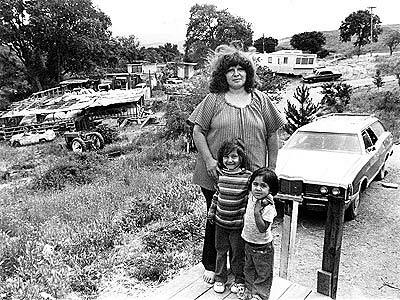 Think of federally recognized tribes, then, as "domestic dependent nations," as the U.S. Supreme Court put it in an 1831 ruling. The federal government, through the Department of Interior's Bureau of Indian Affairs, maintains a sort of diplomatic relationship with each individual tribe, and oversees payment of special federal services and benefits to tribal members for things such as health care, education, housing and so forth. Congress has passed a few federal laws over the years modifying the nation-to-nation relationship. For example, a 1953 law lets certain states including California assume general criminal law and some civil law jurisdiction over Indian lands within their borders. It was enacted at a time when the federal government was interested in terminating tribes' legal status and assimilating Indians into the native population, but it's still in effect today. In other states, either tribes or the federal government have legal jurisdiction in Indian country, depending on whether the perpetrator is an Indian, whether the victim is an Indian, and the type of offense. The Indian Child Welfare Act of 1978 set up procedures that state agencies and courts must follow in handling Indian child custody matters, but this dual-jurisdiction scheme defers considerably to tribal governments. And the Indian Gaming Regulatory Act of 1988 lets tribes conduct gambling on their land after negotiating compacts with their state's governments. So tribes might best be called "quasi-sovereign," though in recent decades they've been striving to regain or protect what powers they've had. Courts constantly are deciding cases that define where tribal sovereignty starts and stops; for example, the California Supreme Court now is mulling whether the state Fair Political Practices Commission can force tribes to comply with the state's campaign finance disclosure laws. Note: Most Indians don't argue that their tribal sovereignty is unlimited. They want to keep as much of it as they can, but they recognize that Congress has limited it. So when conservatives claim tribes aren't "sovereign" because they can't raise armies or issue passports, they're offering straw-man arguments. These conservatives are criticizing an absolute sovereignty that doesn't exist, not the quasi-sovereignty tribes are fighting to retain. The opposition to the exercise of Indian tribal rights can count on this: a sizeable portion of the American electorate and particularly anyone in any way affected by the expansion of Indian enterprise and political reach hates the idea of sovereign Indian nations. Tribal nations of American Indian peoples with standing in the American legal system and capable of fighting for inherent human and property rights -- this is very objectionable for some Americans who themselves project their own special interests. In other words, Euro-Americans got theirs—mainly by stealing from the Indians—and they don't want anyone else to do likewise. Every area of Indian country seems to have its own version of the anti-Indian movement. It is a movement that crafts messages by using some of the deepest political concepts and core values of the dominant American society. It is a movement that tries to appeal to an unconscious fear of the "disintegrating" influence of "the other." This approach may be particularly effective these days when an "us vs. them" mentality and the use of terms like "terror" and "national security" are so prevalent in public discourse. The categories and metaphors used in anti-Indian rhetoric are wrapped in language that reflects a number of values shared by millions of Americans. Terms and phrases such as "One Nation," "equal rights," "liberty," "justice," "equal justice under law" and so forth seem quite normal to the average person in the United States. To a non-Indian audience, arguments that are put together through the use of such terms and phrases may seem to merely reflect common sense. Thus, one challenge we face as Indian people is how to formulate meaningful responses to anti-Indian messages without seeming to defy mainstream "common sense" and deeply held American values. In times such as these, we are in need of nuance of language and subtlety of insight. This need for insightful nuance is connected to a more general challenge we face. When we as Indian people use the English language, we often find ourselves in the paradoxical predicament of attempting to express indigenous cultural and political understandings by means of concepts and categories that carry the baggage of a European cultural mentality, cultural context and values. A dominant-society audience will automatically interpret our messages within their own mental framework using their own cognitive and cultural background. Another key challenge is the way that the anti-Indian movement is able to exploit the fact that the American public is uninformed when it comes to the subject of American Indians nations. An example of how the anti-Indian crowd exploits such ignorance is the way it frames its arguments in terms of what it claims is appropriate in the "American democracy" while not acknowledging the role that the Haudenosaunee Confederacy played in the formation of the model of democracy eventually adopted by the United States. The anti-Indian movement avoids discussing the argument that our original free Indian nations and peoples have the right to continue to exist because the existence of our nations far predates that of the United States. Anti-Indian activists unconsciously use what we might call container-structured arguments to sidestep the original free and independent existence of our Native nations. The cognitive background of a "container" argument views the country of the United States as a type of container or box, the boundaries of which correspond to the borders of the United States. The United States is also viewed as an "object." Container and object ways of thinking and speaking are reflected in the ridiculous, fear-based argument that the existence of sovereign Indian nations is threatening to dismantle the United States. One aspect of the mental model of a nation is that of a container or bounded region of space. This image is an essential structural feature of the "One Nation" slogan used by anti-Indian organizations. The anti-Indian thought process assumes that everyone and everything inside the container-country called "the United States of America" (including Indian nations) is subject to the laws and political authority of the U.S. governmental system, which is, of course, made up of the federal, state, and local governments. This way of thinking places Indian nations and Indian governments in an "anomalous" or unusual situation in relation to the political structuring of the United States. It leads to the question of where and how Indian nations fit "within" the U.S. political framework. Those who created the United States as a political entity used surveyors and mapmakers to conceptualize and build national and state boundaries that were thought of as encircling and engulfing Indian nation lands. Once U.S. boundary lines were established on maps and institutionalized in social and political practice, this created the ridiculous perception that the United States is politically and legally first on the continent, despite the obvious fact that with regard to Indian nations this is completely and chronologically false. The anti-Indian movement attempts to exploit this sense that the United States is more fundamentally rooted in the continent than Indian nations. The anti-Indian movement also employs a deep-level political/legal metaphor: "inside of is under the jurisdiction of." This metaphor reflects and reinforces a popular assumption: "Indian nations that exist 'inside' or 'within' the boundaries of the United States are subject to the political and legal authority of the United States" (otherwise known as "plenary power"). 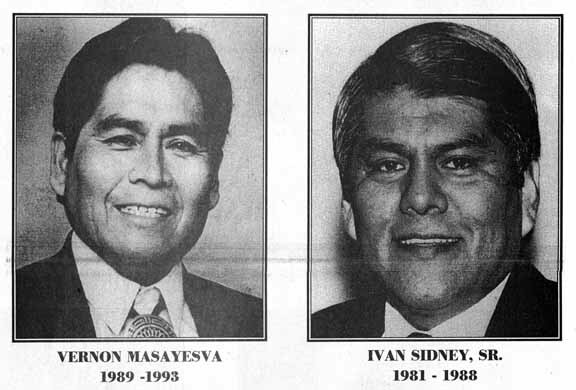 Some anti-Indian activists argue that the way to "free" Indians from federal claims of plenary power is to get rid of Indian nations in the name of civil rights and "equal justice for all." In any case, the presumption of plenary power does not take into account that Indian nations were here on the continent first and possess a sacred birthright of original independence. Nor does it account for the fact that Indian nations have made hundreds of treaties with the United States that, from a Native perspective, are supposed to safeguard the political existence and lands of Indian nations as "supreme law" in the United States. As first indigenous nations, one collective challenge we share is to find the most effective means of responding to the anti-Indian movement in the 21st century. As a start, it bears repeating that we were placed on this continent by the Creator, with our own respective lands, languages, cultures, spiritual traditions and values. We are still here. The United States was constituted on our indigenous lands "in" and "within" a pre-existing "Turtle Island" (North America). Our respective sovereign nations have the right to continue to exist for the simple reason that we do exist, thanks to our ancestors. Many people do not realize the unique political status of American Indian tribes is not racially based. In fact, American Indians are separate from "minority" groups or "people of color" because of our political status as nations. American Indians are separate nations, not minorities. The United States negotiated treaties with American Indian nations through the nineteenth century and continues to negotiate various agreements today. These treaties and political agreements are not based on the racial status of American Indians but solely on political status, creating the basis for the nation-to-nation relationship. Leading legal scholar Felix S. Cohen has written, "In dealing with Indians, the federal government is dealing with members or descendants of political entities, that is, Indian tribes, not with persons of a particular race." Yet race or blood quantum is used by many American Indian nations to determine tribal citizenship so even though our relationship with the U.S. government is political many of our nations are based on race. One of the fundamental rights of American Indian nations is to establish and regulate tribal citizenship or enrollment. Citizenship is a critical issue for all nations because citizens form the foundation of the nation. American Indian nations establish citizenship requirements and practices within their constitutions. Nearly one-third of tribes populating the lower 48 states have rejected blood quantum and instead use a variety of requirements including lineal descent or residency. For more on this subject, see Indian Rights = Special Rights. What about the argument that sovereignty somehow impedes Indians from joining the political, economic, and social mainstream? The claim seems ridiculous on the face of it. Sovereignty hasn't impeded US states from participating in the American dream, so why should a similar level of sovereignty impede Indian nations? Sovereignty is vital to the long term sustainable economic development on Native American reservations. More than fifteen years of research by organizations such as the Harvard Project on American Indian Economic Development, housed at the John F. Kennedy School of Government, Harvard University (www.ksg.harvard.edu/hpaied) have shown that sustainable economic development on reservations begins and succeeds when tribes take matters into their own hands and create their own solutions to local problems. There is not a single example of a sustainable economic development on a reservation where the tribe has not exerted their rights of sovereignty. Sovereignty Matters. When tribes make their own decisions about what approaches to take and what resources to develop, they consistently out-perform non-tribal decision-makers. The effective exercise of sovereignty is manifested in many ways, from tribal control over resource management and tribally designed economic development strategies to tribal administration of health care and other social services. Institutions Matter. Harvard Project research consistently finds that assertions of sovereignty must be backed by capable institutions of governance for development to take hold. Stable political institutions and policies, fair and independent mechanisms for dispute resolution, a separation of politics from day-to-day business management, a capable bureaucracy and a strategic orientation are institutional attributes that help tribes create an environment conducive to economic development. Culture Matters. Successful tribal economies stand on the shoulders of culturally appropriate institutions of self-government that enjoy legitimacy among tribal citizens. Given a diversity of Native cultures and circumstances, tribes are challenged to equip themselves with institutions (e.g., constitutions, economic systems, etc.) that fit their unique societies. Research by the Harvard Project finds that Indian culture has concrete impacts in areas such as forest productivity and housing quality. CAMBRIDGE, Mass. -- Basically, sovereignty works. That is the overall message of a major new survey from the Harvard American Indian Project, which compared data from the 1990 and 2000 Census and found striking improvement in tribal income, education and housing. Furthermore, new gaming wealth accounts for less of the change than expected. In one surprising finding, housing improved more for non-gaming tribes than gaming tribes. The conclusion, said Harvard Professor Joseph P. Kalt, a joint author of the study, is that the impressive success derives from federal support for tribal self-determination, formally inaugurated by President Richard Nixon. Tribal gaming, he added, is a subset of this policy. "If you look at the policy of self determination," Kalt told Indian Country Today, "you would conclude that it is the best policy in 100 or 200 years for solid progress in taking the tribes out of poverty." He has added in the past that it is the only federal Indian policy ever to have shown any success. Tribes exchanged about 400 million acres of ancestral lands in return for payments, including health care and education provisions, an agreement that exists today. But Heart questioned the deal. "The U.S. government hasn't been living up to its payments, so maybe we should go and get our land back," said the executive director of the Aberdeen Area Tribal Chairman's Health Board, an organization that serves 18 Great Plains and Midwest tribes. "Give us some of our land back and maybe we can do a better job than what you've been doing for us." In short, if the US doesn't like the deals it made, let's go back to the situation before the deals. I'm sure many Indians would accept that tradeoff. Would many Americans? "Dickie, don't forget the Indians"
Should Indians cling to reservations?